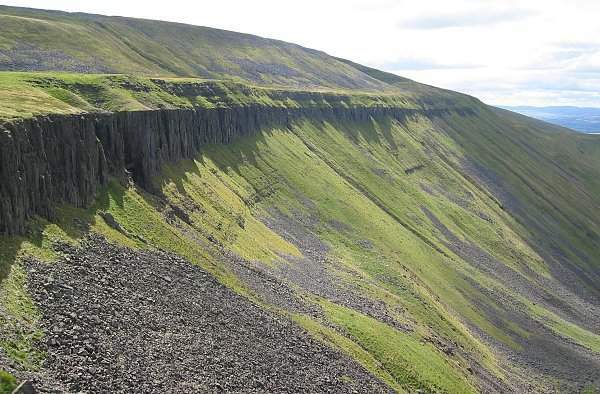 High Cup Nick, North Pennines. 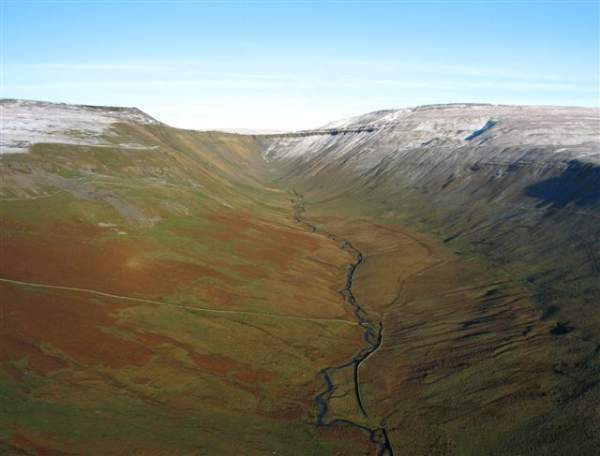 Aerial photo by Simon Ledingham. 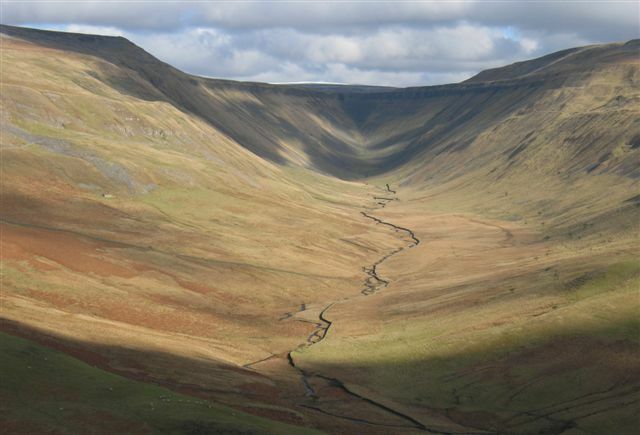 High Cup Nick is a classic U-shaped valley high on the western flanks of the North Pennines Area of Outstanding Natural Beauty (AONB). 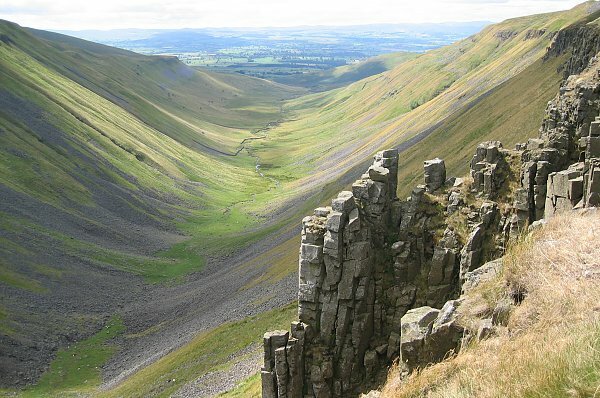 A deep chasm on the Pennine fellside, this famous nick, a dramatic geological formation at the top of High Cup Gill is part of the well-known Whin Sill, and overlooks the best glaciated valley in Northern England. 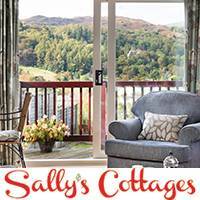 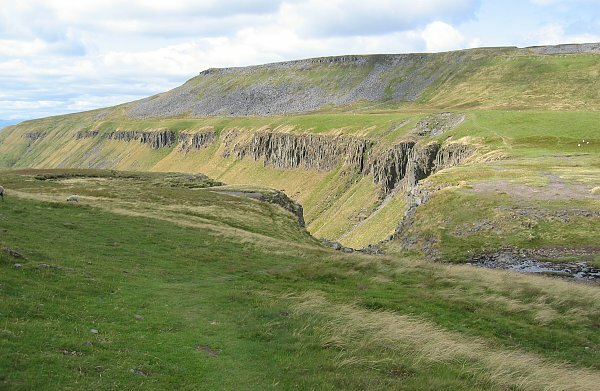 Here you can see the grey-blue dolerite crags which also form High Force and Cauldron Snout. 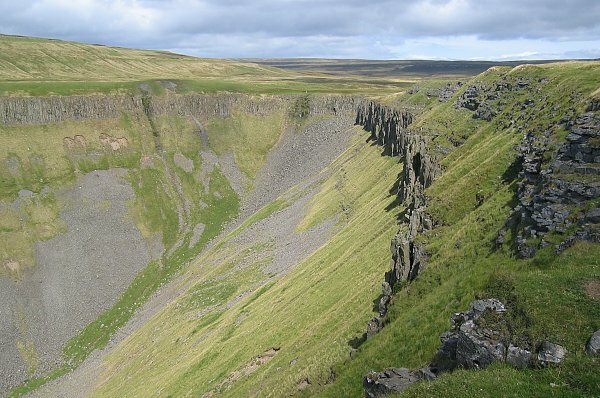 High Cup Nick is on the Pennine Way and can be reached from Cow Green Reservoir on the border of Cumbria and County Durham, or Dufton in the Eden Valley. Pennine way from Langdon Beck to Dufton, past High Cup Nick.